On July 22, 1857, Mr. Lincoln and his wife left Springfield to travel to New York via Niagara Falls, where they stayed at Cataract House until July 24. Little is known of the trip but apparently, the trip was part family vacation and part a business trip to assure payment of the $5000 fee owed by the Illinois Central for Mr. Lincoln’s work on the railroad’s McLean County tax case. Mr. Lincoln had defended the Illinois Central against efforts by McLean County get the railroad to pay taxes on railroad property in McLean — a case which had great implications for the railroad’s finances and profitability. It was a case with great financial importance for the Illinois Central and great personal and financial importance for Mr. Lincoln, who received the largest legal fee of his career for his services. Although the Illinois Central used his services in the spring of 1857, Mr. Lincoln continued the suit in order to persuade the company’s New York-based board of directors to pay him. 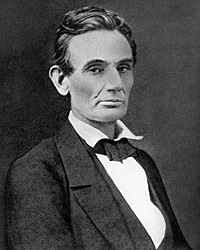 Mr. Lincoln cited the testimony of six Illinois attorneys that his fee was reasonable. With the concurrence of the railroad’s general counsel, the court agreed to a fee of $4,800 — taking into consideration the earlier retainer fee and a shaky recollection of the precise amount. 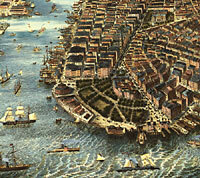 “When Lincoln visited New York for the first time in 1857, the new in New York City was really new,” wrote historian Philip Ernest Schoenberg. “Our city was on the cutting edge of technological innovation, cultural novelty, educational change, financial modernization, transportation leadership, communication pacesetting, commercial pioneering, and cultural trailblazing. 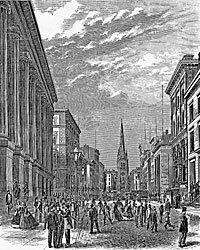 For Lincoln, New York was the future, where the rest of America was heading.”11 Schoenberg erred in his characterization of the trip since Mr. Lincoln had clearly been in the city a decade earlier, albeit very briefly. But the city was certainly impressive — especially for Mrs. Lincoln. Roy P. Basler, editor, The Collected Works of Abraham Lincoln, Volume II, p. 202 (Letter to Thompson R. Webber, September 12, 1853). Roy P. Basler, editor, The Collected Works of Abraham Lincoln, Volume II, p. 205 (Letter to Mason Brayman, September 12, 1853). Harry E. Pratt, The Personal Finances of Abraham Lincoln, p. 51-52. William H. Herndon and Jesse Weik, Herndon’s Life of Abraham Lincoln, p. 284. John W. Starr, Jr., Lincoln and the Railroads, p. 75-76. Harry E. Pratt, The Personal Finances of Abraham Lincoln, p. 52-53. Harry E. Pratt, The Personal Finances of Abraham Lincoln, p. 54. Albert J. Beveridge, Abraham Lincoln: 1809-1858, Volume I, p. 592-593. 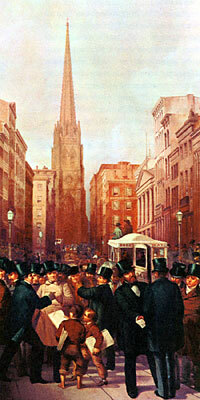 Philip Ernest Schoenberg, “Lincoln’s New York”, (www.newyorktalksandwalks.com/presidentialexper/stories8.htm). 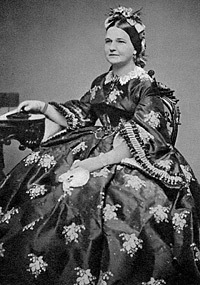 Katherine Helm, The True Story of Mary, Wife of Lincoln, p. 122-123 (Letter from Mary Todd Lincoln to Emilie Todd, September 20, 1850).